Discussion in 'Bags, Gear And Load-Outs' started by John A., Jan 24, 2019. 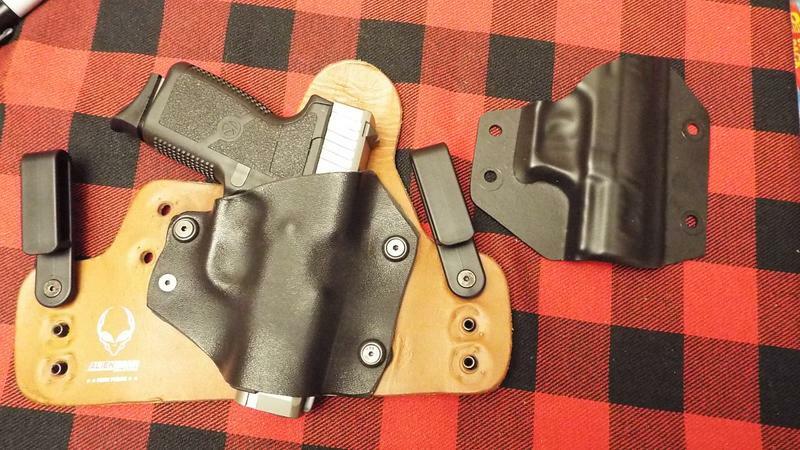 What do you do when the CCW holster you already own discontinues the shell that you need to fit your new carry piece? I don't know about you guys, but I just make a shell that fits using a heat gun, and a piece of scrap kydex that I had from an old knife project. 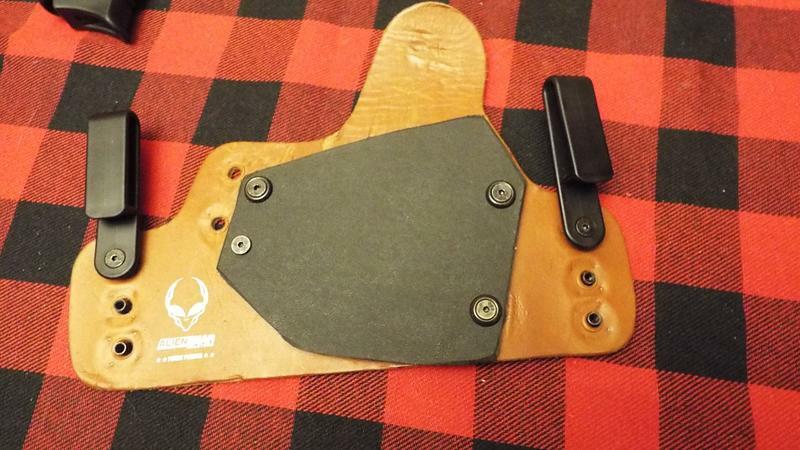 It's a heckuva lot cheaper than buying a whole new holster. 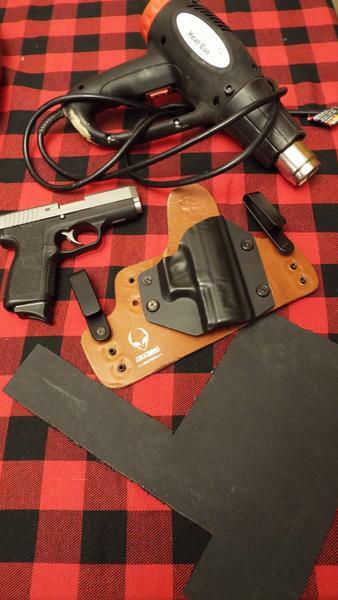 Here is the small leather backer that fits my old P22, along with the other parts that I need now. Once I remove the p22 shell and trace it onto the scrap piece of kydex and drill a few holes where they need to be and put it onto the leather backer. Yep, the kydex is still pretty flat here. But after about 20 minutes of heating and pressing the kydex around the side of the gun, it's about as good as I'm going to get it. It's at least as comfortable as it ever was, and fits as tight too, so that beats shelling out a bunch of dough when I don't have to. Djcala, Bobster, ripjack13 and 3 others like this. At first I thought you were saying they stopped making the P22 shell because I have one still in the wrapper. No, I had the P22 shell and have carried it once or twice, but they stopped making the CW9 holster. Still need to replace the firing pin spring though. I got several light strikes when I was test firing it.